Join Nancy Bown, a Certified Professional Dog Trainer – Knowledge Assessed (CPDT-KA), in a controlled, safe environment where your dog, aged 9 to 16 weeks, will have a chance to interact with other dogs and people. 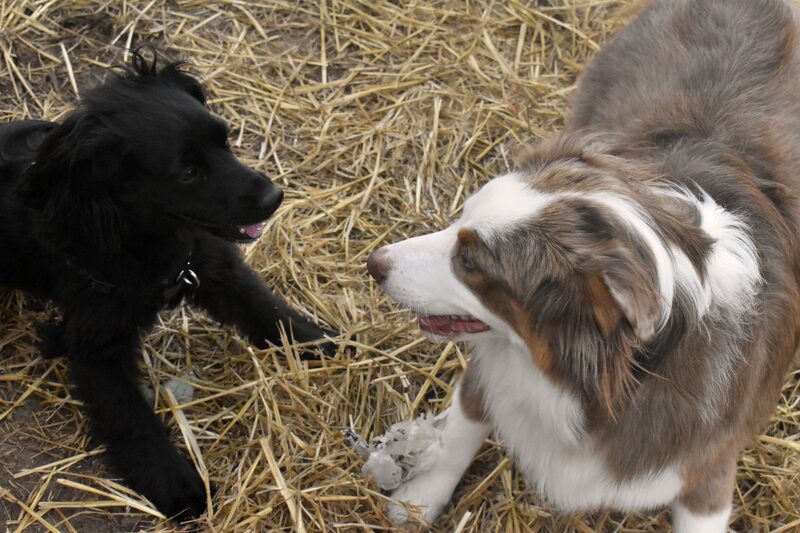 Playtime, socialization and other puppy-themed topics will be discussed. Puppies must be cleared by a vet before participating. To register, please fill out the form below. Once the form is submitted, you’ll receive a PayPal request from Dog-Harmony. Once you’ve paid your fee, your space will be held. Due to limited space, refunds will not be issued. PAWroma Touch© is a hands-on wellness technique for dogs that combines the use of Essential Oils and other holistic modalities to bring balance & harmony to a dog’s body. From occasional sore muscles to supporting a healthy immune system, this technique can support the dogs body physically (alignment, pain relief) as well as emotionally (energy/harmony). · Helps you discover potential health problems such as lumps, bumps, etc. Class will be $35 per person/dog. Limit 6 dogs. After filling out the form below, a PayPal request will be sent to you. Once you’ve paid, your space will be held. Note: Spots will not be held until payment is received. Join Nancy Bown, a Certified Professional Dog Trainer – Knowledge Assessed (CPDT-KA), for a four-week course on continued basic obedience for your dog. This course will educate you on how to properly continue to teach your dog standard cues, such as sit and leave it, in a fear and stress free way using positive reinforcement techniques. It’s specifically geared towards dogs that need to polish their skills working with distractions and is the stepping stone to taking the Canine Good Citizen course. Saturday, April 14 from 10 to 11 a.m.
Saturday, April 21 from 10 to 11 a.m.
Saturday, April 28 from 10 to 11 a.m.
Saturday, May 5 from 10 to 11 a.m.
Space is limited to six dogs. To register, please fill out the form below. Once the form is submitted, you’ll receive a PayPal request from Dog-Harmony. Once you’ve paid your fee, your space will be held. Due to limited space and time, refunds will not be issued, and there will be no makeup classes. Maxine Orange, a local artist featured in Emerald Coast Gallery, Foster Gallery and Gallery 905, is set to host a painting party to benefit Dog-Harmony at its new building. Tickets are $60 and include your materials and one glass of wine. To sign up, please fill out the form below and attach a photo of the pet you’d like to paint. Once your form has been submitted, Dog-Harmony will send you a PayPal request. Once your ticket is paid, your space will be held. Space is limited. Registration closes at 11:59 p.m. on April 3. Need a break from your child’s spring break? Drop them off at Dog-Harmony’s new location for an afternoon full of fun! On March 22 from 1 to 5 p.m., Dog-Harmony’s Kids & Canines camp will teach children all about how to interact with dogs, both in the home and out, and what a dog rescue does. Children will break into groups based on age and rotate through stations like dog-toy making, humane education, dog handling and dog-treat making. It’s $50 per child, and all profits will go towards improving Dog-Harmony’s new building. To register, fill out the the following form after reading the Kids & Canines Terms of Agreement. Once the form has been submitted, you will receive a PayPal request. Once you’ve paid, your space is secured. Please fill out this form. Once submitted, you will receive a PayPal request. After payment has been completed, your space will be held. For more information, please email hello@dog-harmony.org. By signing this form, you agree that all of the above is true/accurate and that you have read and agree to the terms set forth by Dog-Harmony, Inc. for the Kids & Canines Day Camp. I release the child listed above to participate in Dog-Harmony’s Kids & Canines Day Camp. I understand that I do so at our own risk. I understand that participation in the above event/activity could include actions of tasks, which might be hazardous to the participant named above. By signing below, I assume and risk of harm or injury to the participant due to his/her participation in the event/activity. I hereby release and waive Dog-Harmony, Inc., any of its volunteers or paid/contracted employees as well as any entities affiliated with the foregoing from liability for any and all loss, damage, injuries, claims, demands, lawsuits, expenses and any other liability of any kind, directly or indirectly out of or in connection with Dog-Harmony’s Kids & Canines Day Camp. I further provide my consent for Dog-Harmony, Inc. to seek emergency treatment for the participant if necessary. I agree to accept financial responsibility for the costs related to this emergency treatment. Santa Rosa Beach, Fla.—Calling all dog lovers! 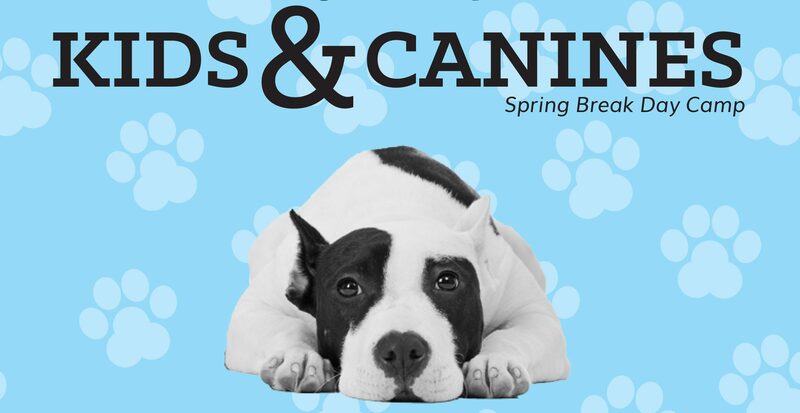 Dog-Harmony, a dog rescue and education organization in Santa Rosa Beach, announced that it will host a kids’ camp, called Kids & Canines, on March 22 from 1 to 5 p.m. to teach children how to interact with dogs, both in the home and out, and what a dog rescue does. The funds from the $50 per child camp will go towards the renovation of the nonprofit’s new building. Children, ages five to 12, will break up into groups and rotate through different stations like dog-toy making, humane education, dog handling and dog-treat making. All supplies will be provided, and each child will take home what he or she has made. The camp will take place inside Dog-Harmony’s new building—237 Market Street, Santa Rosa Beach, Florida—which was acquired in early February. 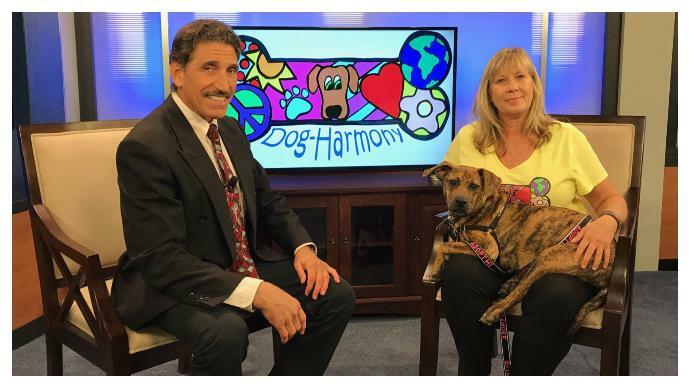 Dog-Harmony is a nonprofit, volunteer-run organization in Santa Rosa Beach whose mission is to reduce the number of unwanted dogs at shelters through education, training, low-cost spay/neuter and microchipping. What makes Dog-Harmony different is that the focus is on training and support before, during and after the dog’s adoption, therefore building healthy, lifelong relationships between them and their humans. Join John A. Porche, a national animal cruelty investigator, at the Destin Library (150 Sibert Ave, Destin) for a workshop on what is considered cruelty and neglect as well as how that plays into Florida laws. This event is free, but donations are encouraged. This is a human-only workshop. Please leave your dog home. Nancy, a Certified Professional Dog Trainer-Knowledge Assessed (CPDT-KA) and Dog-Harmony’s founder, is offering training sessions at Dog-Harmony Headquarters, 3906 U.S. Highway 98 W, Unit 34, Santa Rosa Beach. This course focuses on walking on a leash without pulling. This class will be free for those who make a monthly donation of $50+ to Dog-Harmony. Dog-Harmony has teamed up with the Destin Library to host a lecture series over the next few months. From workshops focusing on educating children to teaching you the difference between service dogs and therapy animals, this series will cover it all. Feb. 27 from 4:30 to 5:30 p.m.
Feb. 27 from 6 to 7:30 p.m.
To sign up for these courses, please fill out the following form. 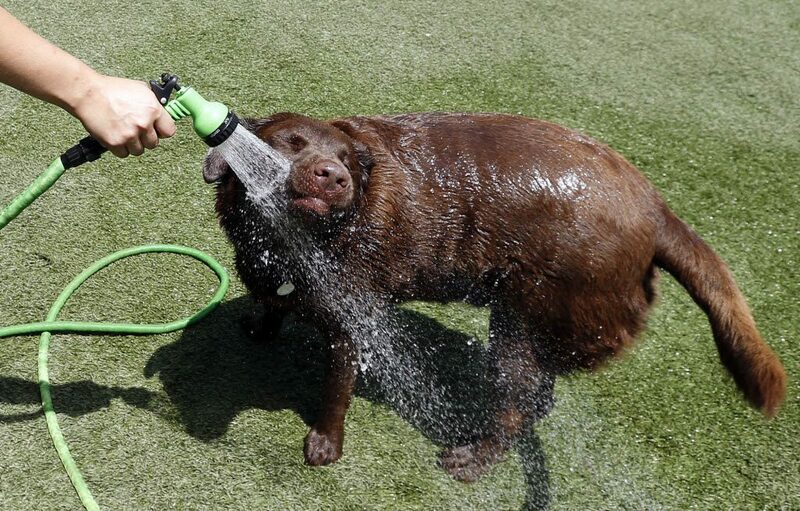 SANTA ROSA BEACH, Fla. (WJHG/WECP) – The founder of Dog-Harmony joined us in the studio to tell you how you can keep your dogs safe from the heat this summer. There are some things you can do to make sure they don’t get a heat stroke. One thing is to make sure your pets drink enough water. You also shouldn’t leave them out in the sun too long. If you start to notice that they are panting more or their eyes and gums get red, it is a good idea to bring them inside.